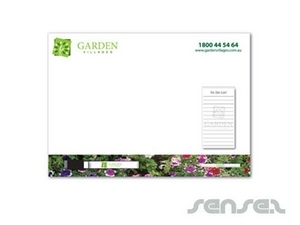 Nothing suitable in promotional magnetic notepads? 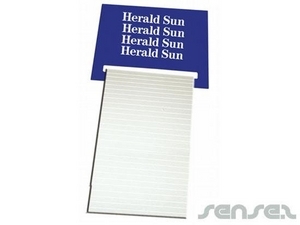 There is hardly a better place for your logo or message than on the family fridge. 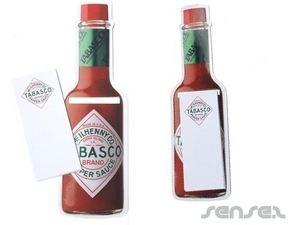 We have a great new range of are very easily customized and offer great opportunities to present your brand or promotional message. 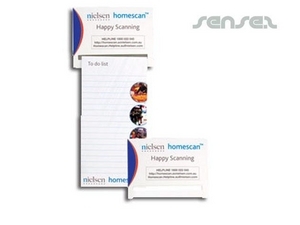 Promotional magnetic to do lists and magnetic note pads are ideal for shopping lists on the fridge and are a great way to leave messages in the home or office . 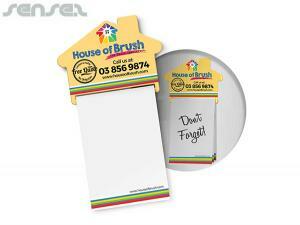 We also have branded magnetic to do lists with a mini whiteboard - great item for the office . 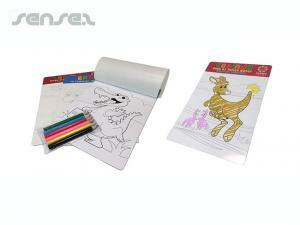 Or we also have larger sized magnetic whiteboards - no more wasted paper! 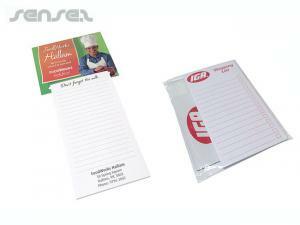 Promotional shopping trolley notepads attach to the shopping trolleys through the ingenious handle design and allows for easy shopping list tick offs. 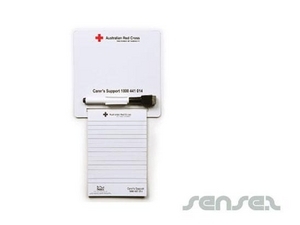 Also has a pencil attached and at home it is easily attached to the fridge via a magnetic backing. 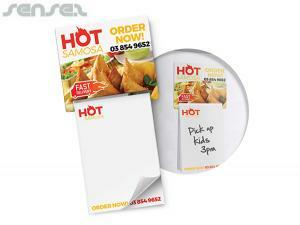 Great supermarket promotionalpromo merchandise to enhance sales. Also slides around a bottleneck, so good as merchandise too.